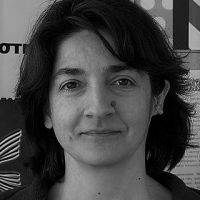 Theodota Nantsou is Head of Policy at WWF Greece. Her current focus is on the proper mix of ecological, social and economic policies that will lead Europe to a truly sustainable way out of the crisis. Greece ranks 15th globally in the number of tourist visitors each year, making the industry a major part of its economy. However for all the benefits the industry brings, poor management and planning threatens the beautiful landscape on which it is based. Recently passed laws look set to make this situation even worse, but WWF is proposing alternatives that can protect Greece’s tourist industry and its environment.